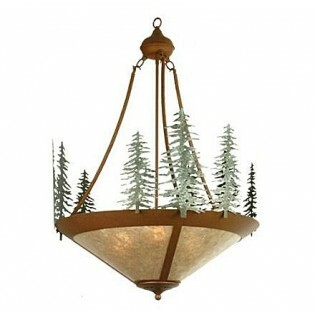 This Trees Inverted Chandelier Features Green Finished Pine Trees on a rust finished fixture with silver mica panels. Made in the USA. 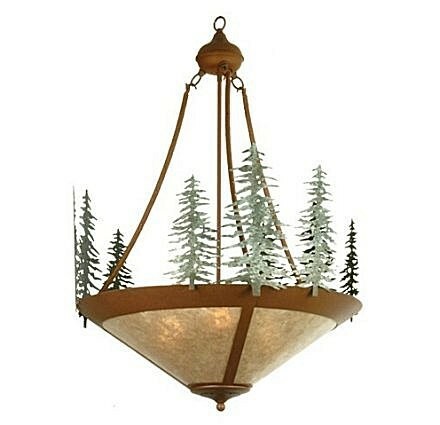 This handsome Trees Inverted Chandelier features Green finished pine trees on a Rust finished frame and has Silver Mica panels.